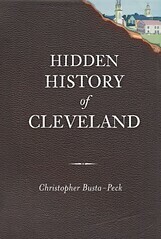 Cleveland has a long and storied football history, which may explain why our fine city has such a love for the current Browns, and anything “football” for that matter. But many Clevelanders may not know that Cleveland’s first professional team, The Cleveland Tigers, was a founding member of the NFL who’s star player was one of the greatest athletes in the history of the United States. The game of football has been played in Cleveland as early as 1882, when the Plain Dealer reported: “The Central and West High School boys will play a game of football on Case Commons Thursday afternoon.” (Cleveland Plain Dealer, October 16, 1882) In addition to Case Commons, the Elysian Fields of Cleveland, football was played at League Park, and nearly every sports venue that city has ever hosted. 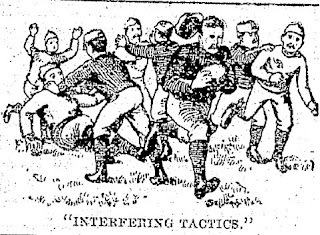 The game really began to increase in popularity in 1890, when the first official high school game was played between University School and Central High, with University winning 20-0. 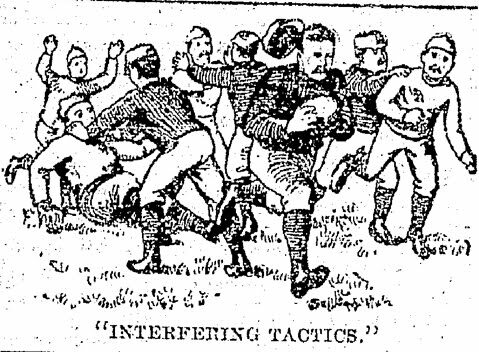 The first recorded paid match was for charity, also in 1890, between The Crescent Football Club of New York, who defeated a Cleveland Club at National League Park (current League Park’s predecessor). The game drew at least 1,500 spectators, setting the stage for future professional clubs. In 1903, Professional football took hold in the Region as the Ohio League was born. Famous clubs like the Akron East-Ends, Massillon Tigers and Canton Bulldogs dominated the league from 1903-1919. Cleveland was home to three professional franchises during that period: The Franklin Athletic Club of Cleveland , The Cleveland Indians of 1916 and the Cleveland Tigers. Despite an 8-3-1 record by the Indians in 1916, professional football did not take hold in Cleveland until 1919, when the Tigers put Cleveland on the football map.